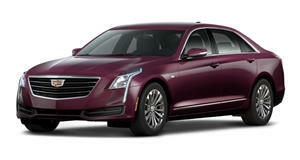 Cadillac has introduced an all-new driver assistance system dubbed ‘Super Cruise,’ describing it as “the industry’s first true hands-free driving technology for the highway.” Featuring on the 2018 Cadillac CT6, Super Cruise utilizes a driver attention system and precision LiDAR map data in addition to the network of cameras and radar sensors already fitted to the luxury sedan. When activated, Super Cruise will enable drivers to busy themselves with adjusting the sound system, using the sat-nav or even taking a phone call, while the car steers itself. It also adds lane-centering that enables automatic control of speed and steering while driving down the highway. “Super Cruise is a more technologically advanced hands-free driving solution, which in terms of capability, integration and validation is uniquely focused on customer convenience and safety,” said Johan de Nysschen, Cadillac president. “Cadillac’s philosophy is to elevate driving. Super Cruise enables safe, simple hands-free driving for the highway.” A driver attention function has been included in the system in order “to keep the driver engaged during operation,” says Barry Walkup, chief engineer of Cadillac Super Cruise. The driver attention system uses a small camera on top of the steering column focusing exclusively on the driver, working with infrared lights that track the driver’s head position to see where they’re looking. Where the current crop of driver assist systems reply solely on steering wheel input and warning messages to get drivers’ attention, Super Cruise will detect if the driver has turned their attention away from the road for an extended period of time, and prompt them to refocus on the road. If the driver continues to lack focus, the system will steer the car safely while setting off a series of further alerts until the driver resumes control. These alerts include a steering wheel light bar, visual indicators in the instrument cluster, tactile alerts in the seat and audible alerts. If after all that the driver still remains unresponsive, the CT6 will come to a controlled stop and contact OnStar to alert first responders of a potential medical emergency. The Super Cruise will be rolled out as an option this fall in the US and Canada.